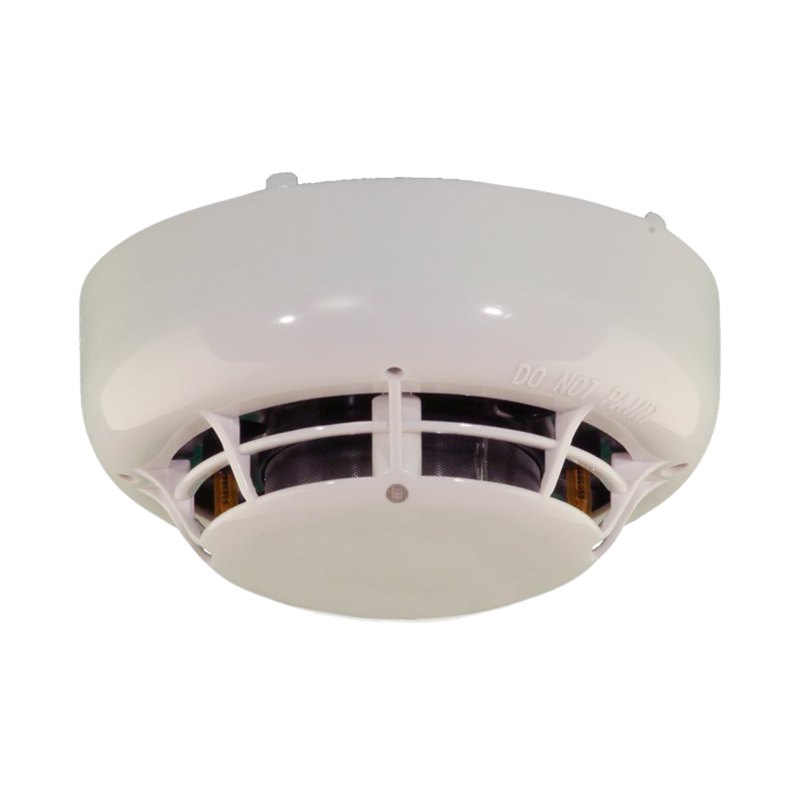 The SOC-24VN photoelectric smoke detector utilizes one bicolored LED for indication of status. In a normal standby condition the LED flash Green every 3 seconds. When the detector senses that its sensitivity has drifted outside the UL listed sensitivity window the LED will flash Red every 3 seconds. When the detector senses smoke and goes into alarm the status LED will latch on Red. The detector utilizes an infrared LED light source and silicon photodiode receiving element in the smoke chamber. In a normal standby condition, the receiving element receives no light from the pulsing LED light source. In the event of a fire, smoke enters the detector smoke chamber and light is reflected from the smoke particles to the receiving element. The light received is converted into an electronic signal.